The story about autonomous life forms that seem too human to be believed have had their heyday in the world of anime. Shows like Chobits, Ergo Proxy, and Ghost in the Shell have offered unique perspectives on this genre ranging from comedy, to mystery, to downright bleak and apocalyptic depressing stuff. 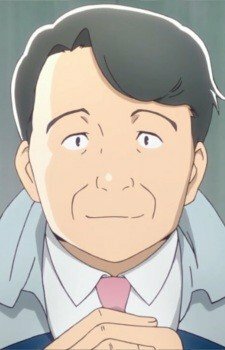 Along comes an anime that tries to take the comedic and depressing route at the same time. It tries to be cheerful like Chobits and attempts to mix it with the depression that is Clannad. 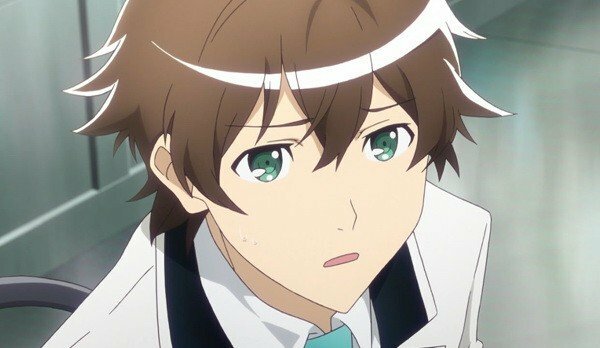 When you put those two together, you loosely get our main subject of this review: Plastic Memories. The world is filled with autonomous androids who serve humanity in the form of companions. Many times people have lost loved ones or are all alone in this world so they end up getting one of these androids, known as Giftias, to fill that particular void in their life. Giftias are touted as being the closest thing to an actual human being ever created. The only downside to this is that each Giftia has a lifespan before their programming and memory circuits go haywire, so therefore they need to be retrieved and recycled. This brings us to Terminal Service… a company that heads out and retrieves soon-to-be-expired Giftias and brings them back to the company so they can either be scrapped or recycled. The process of retrieval starts with a team of two members of Terminal Service… a human which will oversee the activities and a Giftia which will do the actual retrieval. The Giftia will do their best to convince the owner to sign the release forms and give consent for the retrieval. Some of these moments are fine and dandy and there are others that are simply heart-wrenching due to the situations surrounding the owners. The show focuses on our two main characters: Tsukasa Mizugaki and Isla. Tsukasa and Isla inadvertently bump into each other on Tsukasa’s way to Terminal Service where he is looking to start his new career. When he gets there, he discovers that Isla is also an employee of Terminal Service. In fact, she’s also a Giftia. The more that Tsukasa and Isla work together, the more Tsukasa falls in love with Isla and vice versa. Given the above information on Giftias, you can pretty much see where this story is going from a mile away. The one thing I hated about this show was the amount of attention Tsukasa and Isla’s relationship receives. When I say that, I don’t mean by the show or the story itself, but from the actual characters. Towards the end of the series, the entire office acted as if Tsukasa and Isla were the only things that mattered. They coached Tsukasa on how to win Isla over, they let them take days off from work so they can further their relationship, heck, they even threw parties and went to great lengths to support their relationship. First off, what job… let alone a tech company like that… cares that much about inter-office relationships? Taking one step back.. what kind of company ALLOWS that kind of an inter-office relationship? Also, how boring, dull, and meaningless are the lives of these employees when a romantic relationship involving their co-workers is their top priority every single minute of the work day? Also, dy does that relationship take precedence over their actual jobs? The way all the supporting characters handled this relationship was beyond believable by any and all conventional means and ended up being more annoying than anything. I get that Isla holds a special place in everyone’s hearts and she’s going to expire soon (Hey.. if you couldn’t pick that up from the non-spoilers I gave above, then you haven’t watched a lot of in-your-face predictable shows. ), but come on! Nobody I have ever worked with in real life cared THAT much about someone else’s relationship. Also on a side note, how lonely is Tsukasa if the only love he can get is from an android? Also, the whole drama aspect of this show seems REALLY forced. You know what’s going to happen to Isla from the very beginning of this show. As soon as they announce the fate of Giftias and that Isla is one, you know pretty much know how the show is going to end. The side stories with each retrieval were very well done, though, and some of them create the drama that this show needed from beginning to end, but as soon as the romance side of things took off, the show went downhill pretty fast in the drama department. Still, despite the predictability, the overall story was rather enjoyable. It wasn’t something that made me want to keep watching the split second an episode ended, but it was something that held my attention each week when a new episode came out. I found myself stock piling episodes for weeks and just doing a mini marathon of them which shows that you don’t really need to go out of your way to watch this show, but you can still enjoy what’s there. Here is our main character and boy oh boy.. if you could put a picture of vanilla in the dictionary, this guy’s face would be the perfect candidate. 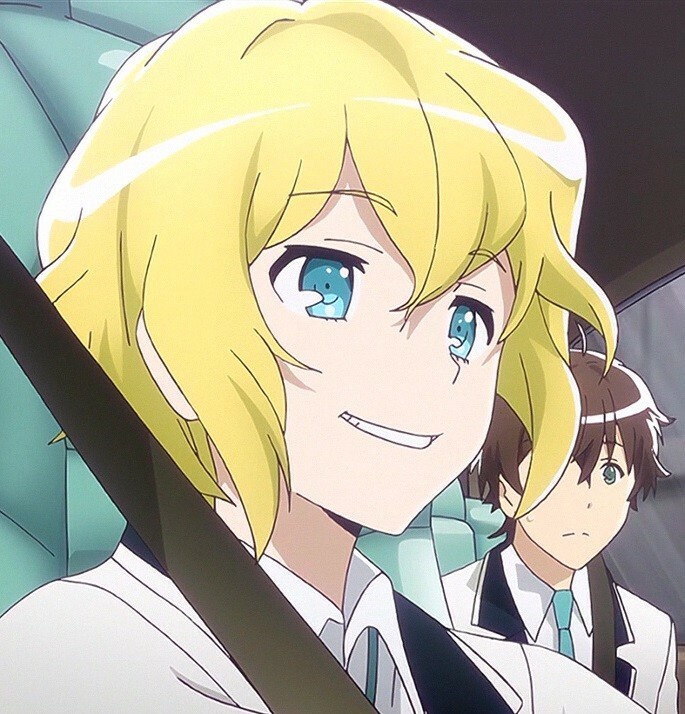 Tsukasa is typical teenager who tries to be good at his job, but bumbles his way through. He’s too nice for his own good and often gets pushed around by his co-workers who find him rather annoying. Well, his co-workers are actually just a bunch of tsunderes, but I’ll get to them in a moment. Tsukasa also seems like that overly attached, yet harmless boyfriend. He represents the person who hasn’t experienced love before in his life and when he does, he’s just simply infatuated beyond all reason. Towards the end, it seems like every other word out of his mouth is “Isla.” Isla this.. Isla that.. in fact, all they had to do was make him say nothing but her name and you could probably still end up with the same result in terms of character and story development. As a main protagonist, he’s vanilla as all hell, but I don’t think there really is another way to slot a different archetype into that role and have the story not change dramatically. The only other option would to have the typical hot-headed big shot who slowly gets broken down by Isla’s charm, but we’ve seen that done to death as well. Isla was the one who got the most character development because, let’s face it, she’s the reason why people watched the show. She started out quiet and shy and then towards the end she came out of her shell and started to have a more vivid personality, but it took a long time to get there. Expect to spend about 80% of this show waiting for that moment to happen. She does have a “catchphrase” where she says “Error” a lot and asks you to repeat what you just said. In the beginning it meant exactly that, but when her personality started to develop, she used it in an attempt to be cute and pretend she didn’t hear what was being said.. like Tsukasa’s confessions of love. They also switch gears with her way of thinking almost on a dime. When the time draws closer to her expiration date, she wants to distance herself from as many people as possible in order to not make any painful memories for them, but once they start pampering her and Tsukasa’s relationship, she seems to want to make as many good memories before her brain gets reprogrammed. This show seems to jump all over the place with its direction and this is a prime example of it right here. 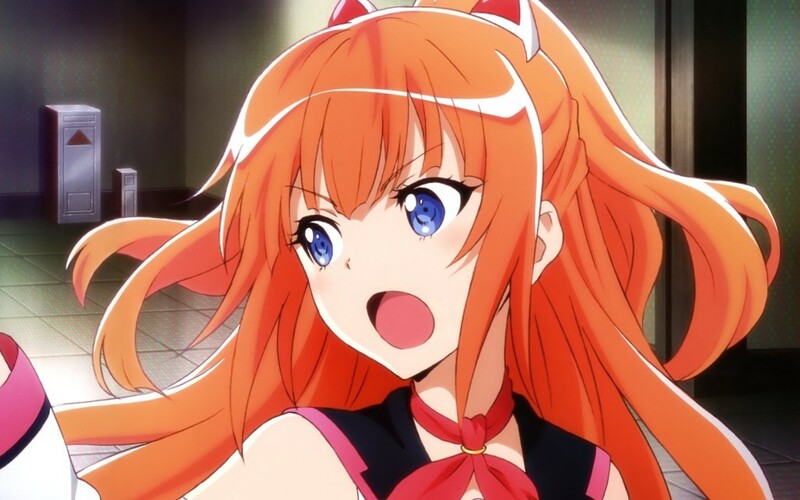 Isla is a moe character that some people will get attached to. Her personality is pulled off very well, but sadly, the writing just destroys any real “feely” moments you can have with her because everything just seems so obvious and forced. Enter tsundere number one. She is Isla’s former partner and Tsukasa’s boss. She’s very protective of Isla because of their past working relationship together. One day she suffered a foot injury on the job and the doctor’s had to amputate leaving her out of the field. It’s also the reason her and Isla couldn’t be partners anymore. 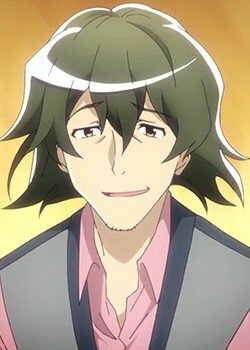 In fact, until Isla is paired with Tsukasa, Isla served as the person who brings everyone tea while Kazuki pushes paperwork behind a desk. 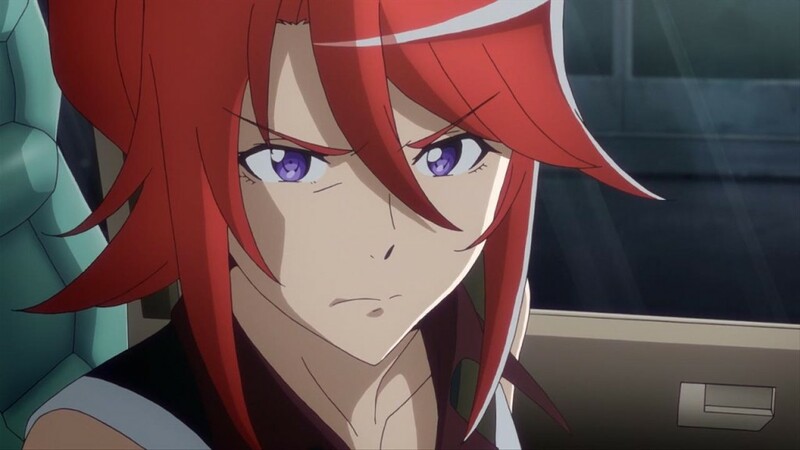 Kazuki is mean and hot-headed. She also spends a lot of time drinking. She does care deeply for Isla and eventually cares about her relationship with Tsukasa although she never likes to show it, but she does have her moments of weakness where it shines through. I didn’t really care all too much for her character mainly because characters like her are a dime a dozen. If you’ve seen her archetype before, then you’re not missing out on much with Kazuki. Enter tsundere number two. Michiru was raised by a Giftia. In fact, it was her father that went haywire and injured Kazuki’s foot. Michiru starts to develop feelings towards Tsukasa, but can never admit to them so she just resorts to being mean to him all the time, but like most tsundere characters, she has her moments of weakness and her kindness does shine through. He’s Michiru’s Gifta partner. He’s often lost in a Game Boy and makes a lot of smart alec comments. usually what he says is the truth, but in the most sarcastic and obvious way possible. He seems a lot smarter than he lets himself be known for and can truly push people’s buttons the wrong way. He’s used as a prop to expose Michiru’s love for Tsukasa many times to which she gets embarrassed and just gets angry. Overall Zack is a pretty fun character. It was a breath of fresh air just to see him shut down and expose everyone that he comes in contact with. It definitely added an interesting dynamic to the cast. Plus, the show likes to take advantage of the fact that he looks like a girl… especially on one retrieval where Zack was depicted among sparkly lights while smiling and talking to a customer. Would have been fun to see the trap card played here, to be honest, but the name kind of gave it away from the beginning. Here’s my favorite character from the show. Despite working for Terminal Service for ten years, he’s the most laid-back character of the bunch. He’s a wannabe ladies man who doesn’t really taste success all that often in his endeavors, but he’s very quick to lend womanly advice to Tsukasa to try and help him win Isla over… most of which ends in hilarious failure. He resorts to casually drinking at the bar and poking fun at Kazuki whenever he sees her there. His overall carefree attitude is pulled off very well and it’s actually a highlight whenever he makes an appearance in the show. He’s the head of Division 1 of the Terminal Service. He’s a boss with no spine who can only sweat and grovel before his superiors. He has difficulty asserting authority and usually most of his staff members make decisions for him. He just likes to sit back, relax, and let the world pass him by while serving as the figurehead of the division. It makes you truly wonder how he still has a job. Oh, and the budget for his department is failing and all he can do is sob about it. That pretty much wraps up the main cast of characters. Having two tsunderes in the cast is overkill. The backstories to each character are pretty well done and I wish we got to spend more time with them, but it seems all of that is thrown out the window at the end in favor for Tsukasa and Isla’s relationship. When watching this show, it is so painful to see the potential it could have had thanks to its characters, but they opted to build them up for nothing and just toss everything aside in favor of a predictable and annoying plot. Take out the crappy romance and stick more of the first half’s drama into the show and this would have been a ten out of ten amazing show. The characters are kind of run-of-the-mill here. I do find it hilarious that the retrieval vehicles that Terminal Service uses look a bit like upscale, high-tech, garbage trucks. I don’t know if that’s intentional or not or just an oversight by the design team, but it’s kind of funny in a dark way that you’re putting these used up Giftias into something that looks like a garbage truck and then hauling them away.. Some of the CG in the anime was pretty obvious and didn’t do a good job of blending into the standard animation. The backgrounds were pretty impressive.. especially when we get to the amusement park. The level of detail there is pretty nice. Don’t worry, you’ll see a lot of the amusement park as it becomes a central theme to a couple of the story points of the show. 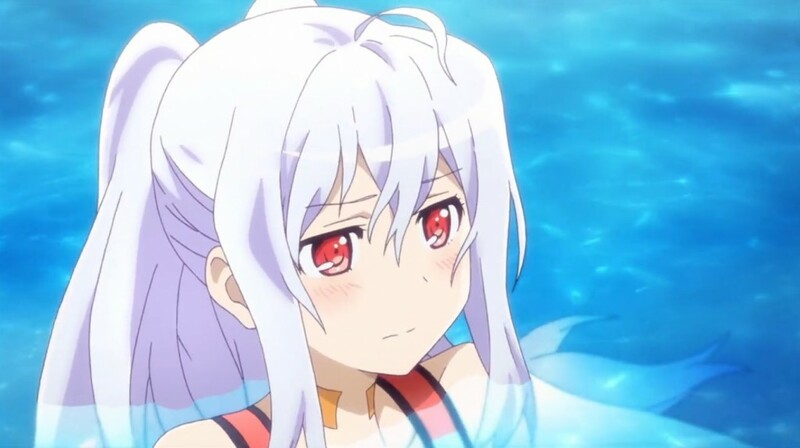 The animation was okay.. nothing that really stood out except for a couple of scenes where Isla’s hair was animated using a TON of frames, making it look nice and fluid, then the next scene it’s back to typical stop-motion anime style. Continuity errors in animation like that really bug me. If you’re going to spend some time and budget like that on one scene then either do it all the way through, or just don’t do it at all. The OST is bland and dull. Nothing really sticks out there as most of it serves its purpose as background music. There aren’t any tracks I can recall off the top of my head, either. The opening and ending themes are pretty generic, too and I found myself skipping through them rather than watching them. Overall, the sound was passable at best. This show had it and then dropped it at the very end. As much as I don’t like how it wrapped up, the overall experience was enjoyable. I loved the character backstories and the retrievals that took place. Taking away that old lady’s Giftia was kind of heart-wrenching to watch knowing that the Giftia was the only thing she had left in her life that she could consider family. It’s moments and drama like that in this show that really makes it stand out in a good way. I just can’t understand why they didn’t keep that as the running theme the entire time. Again, Tsukasa and Isla’s relationship was pushed way too hard and it had the most predictable ending in anime this season. It really stopped this show from being amazing. I really wish they went with a different path on this. Also, I have to ask this question. How in the HELL do you live in a world where you have the technology to create androids that are almost 100% human-like and, yet, you can’t do anything about their programming or their memories? Also… how in the hell does this show get away with “it’s impossible” as the only explanation as to why you can’t just back up, debug, and restore a Giftia’s memory? You have that technology TODAY.. in REAL LIFE. People back up, image, and restore their computers all the damn time.. and if you can just reload a new memory into a Giftia.. how in the blue hell can you not fix and re-upload the same memories? You want two AMAZING android animes… go watch Ergo Proxy and Ghost in the Shell.. two of the best animes ever produced. Just take my word for it. That’s going to do it. If you agree/disagree with my review or if you have something you’d like me to watch and review send all of that goodness over to joshpiedra@theouterhaven.net. If you feel inclined to do so… follow me on Twitter @PulseIn.